TRX250TM features a high-performance cylinder head for increased performance. An oil cooler is standard equipment, ensuring optimal engine temperatures under difficult operating conditions. 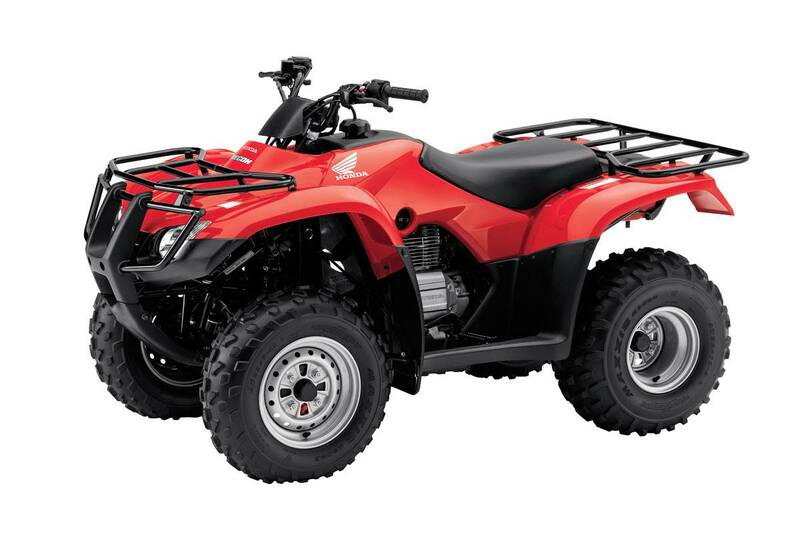 Lightweight, OHV air-cooled 229cc engine is longitudinally mounted to allow direct driveshaft alignment to rear wheels for fewer frictional losses. Automatic cam-chain tensioner reduces maintenance. Convenient electric starter with auxiliary recoil starter. Lightweight double-cradle steel chassis. Maintenance-free shaft drive routes power directly from the longitudinally mounted engine without inefficient directional changes. Ergonomically designed seating and control layouts provide a comfortable operating position for a wide range of rider sizes. Uniquely designed floorboards, which allow the rider's feet to grip the footrests while keeping mud and debris away from the rider's feet. Meets EPA and CARB emissions levels. Large cargo racks front and rear allow payloads of 15 and 30 kilograms, respectively. Large, lightweight plastic fuel tank with 9 litre capacity.